Tonight was the start of year three of Summer Flicks. Each summer, Paul and I watch a few baseball movies with friends of the podcast. This year's category is "Baseball Dramas." First up was Field of Dreams with Scott from Iowa. A core component to every Summer Flicks viewing is live-tweeting our experience. 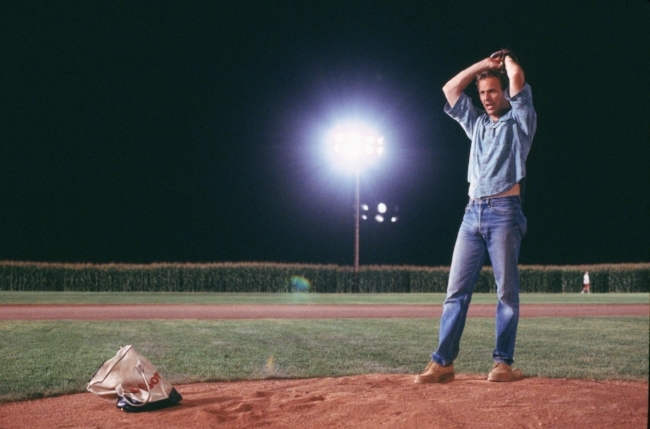 Here are the 10 best tweets from the best baseball movie of all time. "You've got no crop to sell!" "Hey dad? Wanna have a catch?"